A good few week ago the daily mirror newspaper was giving away Lego racer cars each day, this was either collect at most tesco or toys-r-us stores each day or collect four of the vouchers printed in the paper and send of a cheque for I think £6.50 inc postage and package cost. There was 6 cars in total and then a box to keep them in, also paper printed play-mat and then on the final Sunday was a a4 sheet of stickers of all the cars. 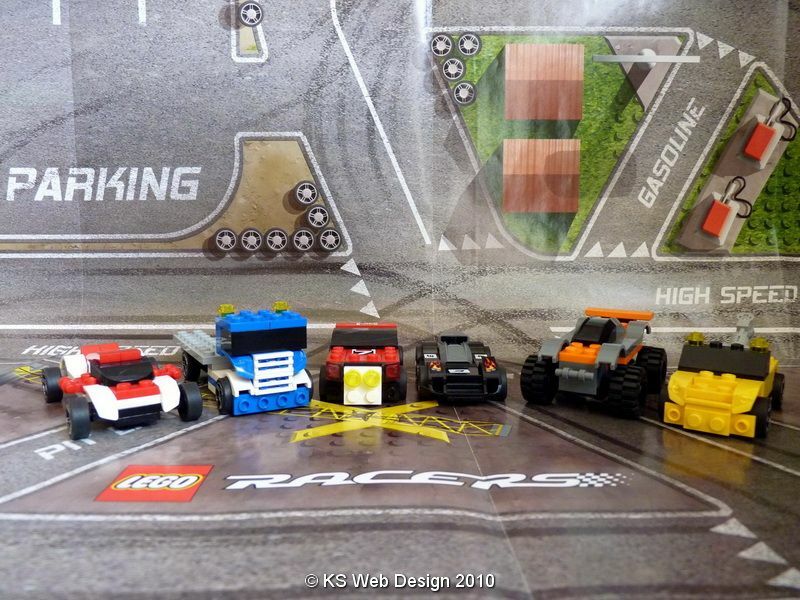 I collected the four cars and box and play-mat, I know most people will take the so called Micheal out of me collecting these lego cars, but as a kid I used to love playing with Lego, I used to have loads and make all different type of things, the best I can remember was making 2 different largish cars (around a ft long) with a friends of mine, and we used to race them along the road, we even made them with great suspension system, and bumpers with springs in to take any impact. So have a look at my albums of some of the pictures of the different lego racer that was given away with the daily mirror by clicking on the link below or going to my photo album link above.